Children enjoy using playground equipment, such as slides, swings and sandboxes. Parents want their child have fun, but you should be aware of safety issues concerning playgrounds, and take steps to protect children while they’re using such equipment. Some playgrounds are used during school hours. School personnel have a general duty to take reasonable steps to protect students during school hours. If a breach of that obligation causes an injury to your child, you may have a lawsuit against that school district. Call the White Plains accident attorneys at Worby Groner Edelman LLP if your child has been injured on any type of playground. Our attorneys have years of experience representing clients injured in these types of accidents. It is very important for you to know that in any case involving a public school, you will probably have only 90 days to file a claim with the School District, or the municipality in which the school is situated. If you fail to file a claim within that 90 day period, the law might permanently prevent you from doing so in the future. For that reason, it is important that you consult with an attorney at soon as is reasonably possible following the accident. Call us even if more than 90 days has passed since the date of accident. In some cases the law will permit a late claim to be filed against a school district, but there is a limited amount of time in which this procedure can be utilized. While many playground accidents occur on school grounds, children can be injured on any type of playground. Some claims require a lawsuit against the playground manufacturer. This type of case, called products liability, requires specialized knowledge and sophistication. The accident attorneys at Worby Groner Edelman have handled many such cases, and are experienced in the field. We’ll take the time to answer your questions, and explain how your medical bills will be paid. We’ll handle all the paperwork, obtain the appropriate medical records, and process the case in a quick and efficient manner. In most cases, litigation will be required, because unfortunately most insurance carriers don’t take a case seriously until a lawsuit is started. We’ll process the case through the court system, and while we’ll attempt to settle the case, we’ll be prepared to take the case to trial if necessary. Playground cases usually require the retention of an expert to testify at trial as to whether the equipment was defective, and if so how, and also to explain how the defect was a proximate cause of your child’s accident. We’ve worked with the leading experts in the field of playground safety, and will do so as necessary in your case. 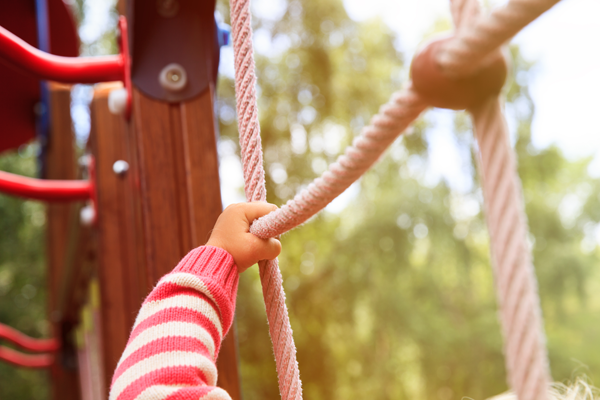 With well over 150 years of combined experience, the White Plains accident attorneys at Worby Groner Edelman have handled a wide range of accident cases involving playgrounds. We have the resources and personnel necessary to handle any type of matter involving serious injury. We can answer your questions regarding how medical bills are paid, whether you should file a lawsuit, and take care of all the details. Call us for a no obligation consult; there is never a fee unless we are successful.